Explanation: Sprawling across hundreds of light-years, emission nebula IC 1396 mixes glowing cosmic gas and dark dust clouds. Stars are forming in this area, only about 3,000 light-years from Earth. This detailed view was created in light primarily emitted by hydrogen gas, recorded through a filter that narrowly transmits a wavelength characteristic of glowing hydrogen atoms in the nebula. 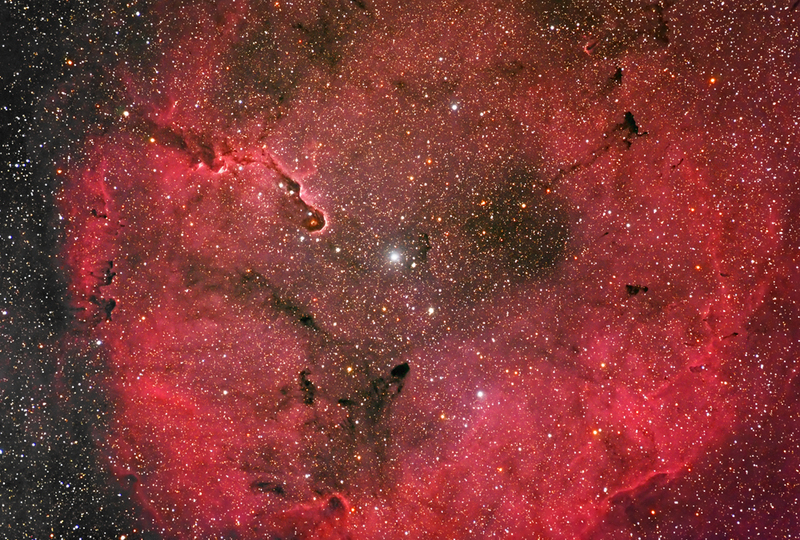 Among the intriguing dark shapes within IC 1396, the winding Elephant's Trunk nebula lies just left center. 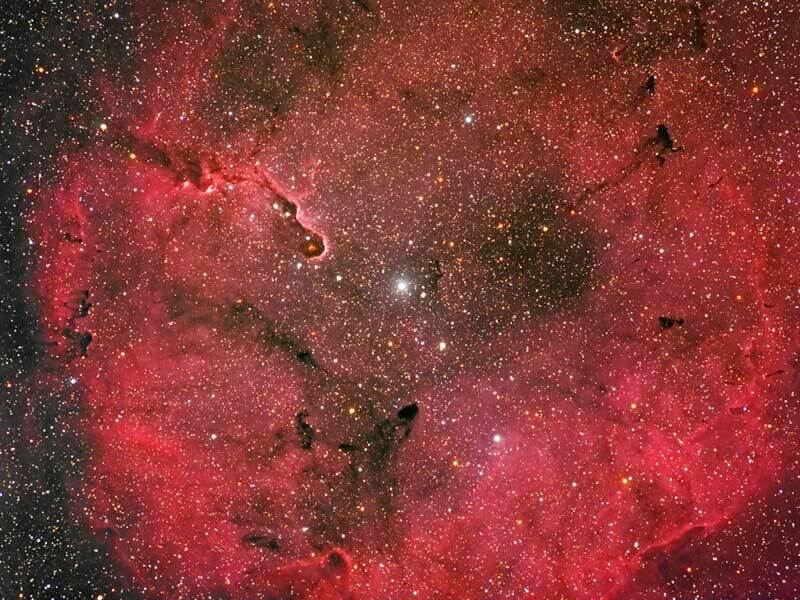 IC 1396 lies in the high and far off constellation of Cepheus.